Morning after breakfast, drive to Leh via Hemis, Thiksey and Shey monastery. You drive along valley down till Martselang village. 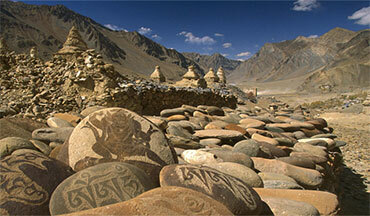 Then turn left towards Hemis monastery hidden behind the wonderful mountains. 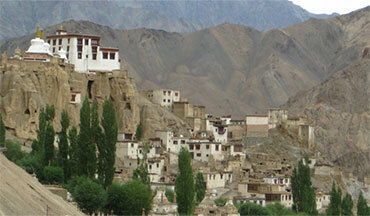 Arrive Hemis, visit the monastery. The great Mahasiddha Staktsang Raspa along with 35th King of Ladakh Singey Namgyal built this biggest, Drugpa sect monastery in 16th century. 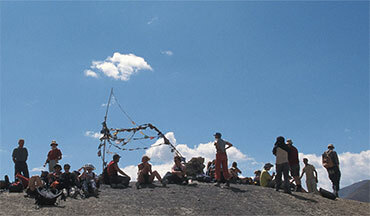 After visiting this monastery, continue drive to Thiksey monastery, visit Gelugpa sect monastery, picturesquely founded on hill top by the great Lama Paldan Shesrap in 14th century. 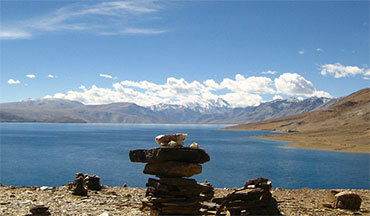 It provides imposing view of Indus valley and surrounding wonderful mountains and its snow clad peaks. 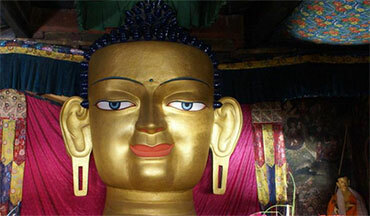 It houses the exquisite big statue of the Maitreya Buddha (Future Buddha). 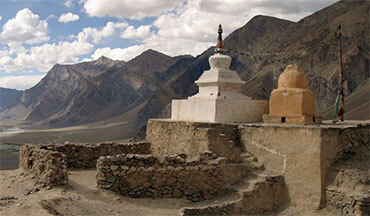 Later, drive to Leh via visiting Shey Palace wherein you visit big copper gilt statue of Lord Buddha dating back 1633AD. Overnight at hotel in Leh.